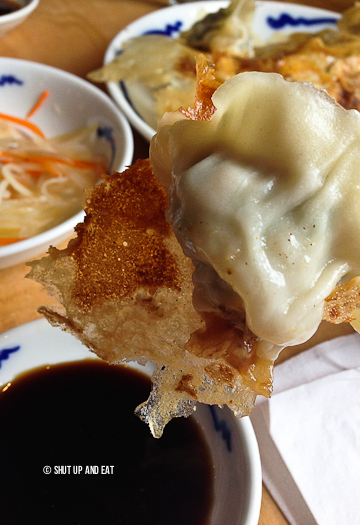 Dumplings Arrive in the Mile-End - Harbin Dumpling - Shut up and eat. If there’s one thing I hold dear to my heart, it would definitely be dumplings; anything and everything dumplings… pork and shrimp dumplings, lamb and coriander dumplings, cheese and potato dumplings, dumpling toast, dumpling cereal, dumpling kebab, coffee and dumplings. I think that in every culture and in every type of cuisine there is a version of dumplings; stuff wrapped in dough and boiled, steamed, fried… cooked. Before getting all Bubba over dumplings, let me tell you about this new dumpling spot in the Mile-End called Harbin Dumpling. Opened for just over two months, this dumpling joint is satiating cravings of the Mile-Enders with delicate meat-filled pouches. 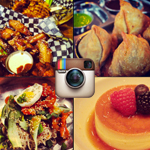 The menu is pretty standard with choices of beef, pork, lamb and vegetarian varieties. 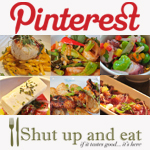 The menu isn’t as extensive as some other places, but it offers up the classics. 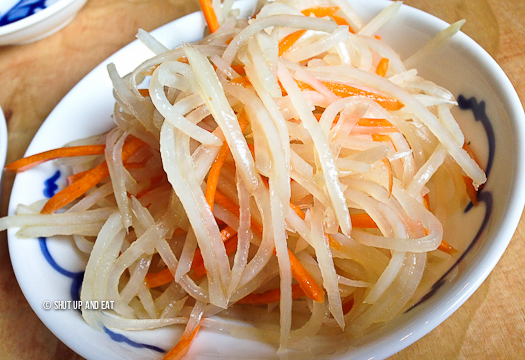 We started with the Chinese style shredded potato salad, with a sweet and sour vinaigrette. Toothsome and refreshing, this starter definitely whets the appetite. 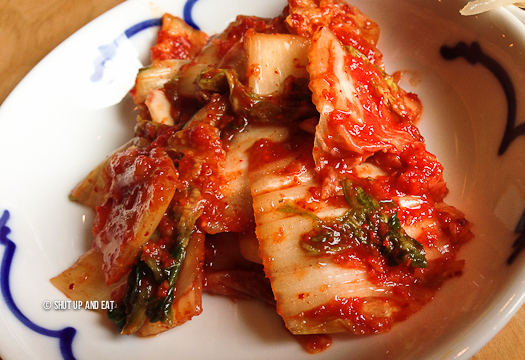 The kimchi was ok. It wasn’t as fermented more than it was pickled, but it was still funky. The bark was definitely worse that it’s bite – the redness wasn’t any indication as how spicy it was because it wasn’t at all. 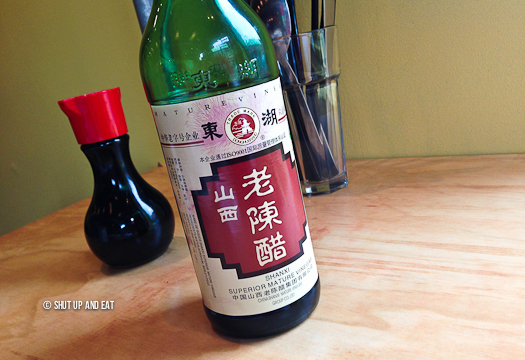 It does however help reset the palate inbetween cramming copious amounts of dumplings in your mouth. 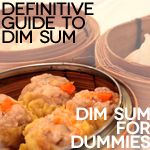 Like most dumpling houses, you have a choice of preparation; steamed, pan-fried, boiled, feeding tube or intravenous. 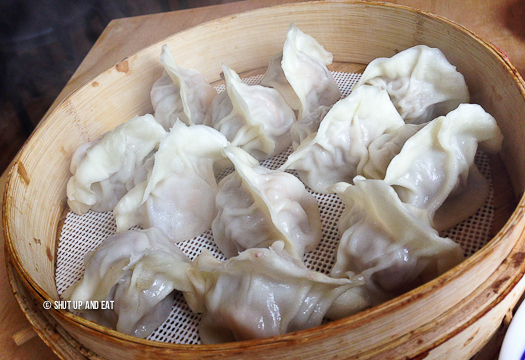 We got the steamed pork and shrimp dumplings. They there average sized dumplings and the meat was juicy and savoury, although on the bland side. When I think “pork and shrimp”, I think chopped up bits of shrimp incorporated with the ground pork having a nice distribution of ingredients. There was a tiny little shrimp placed on top of a pork meatball mixed with scallions. I guess this shows that they took the time to place each and every shrimp on top of the filling before sealing the dumpling, however, compromising the filling ratio. Fried lamb and coriander dumplings. We found the lambiness of the lamb very lamby. That’s where your dipping sauce comes into play. I nice proportioned Shanxi black vinegar to soy sauce to chili oil is very important. It’ll cut that gaminess like a sucker. 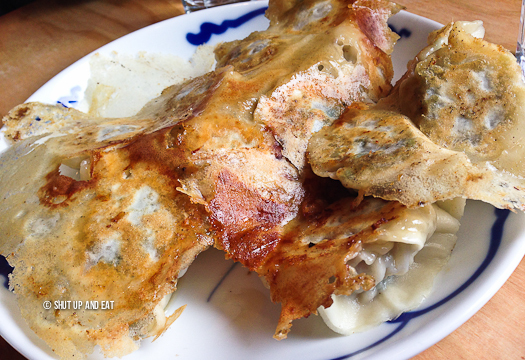 The best part about pan-fried dumplings is the sheet is crispy sheet of starchy bits that hardens up on the flattop. Eat these first before they get soggy. To be honest, Harbin Dumplings isn’t the best dumpling spot I’ve been to in Montreal, but it hit the spot. Maybe it was the bright yellow walls that made me feel uneasy or the big screen tv playing Chinese dubbed internet streamed, National Geographic wilderness videos. Really, who wants to watch a documentary of land predators of the Serengeti when they’re eating? Perhaps it was the lack of seasoning in the filling or the delicate skin that pierced every time I picked one up with my chopstick releasing all the soup in a trail from my plate, up my shirt, into my mouth. New to the neighbourhood, I love the fact that the dumpling presence is slowly growing in Montreal, giving people more choices in different parts of town to get their dumpling fix. 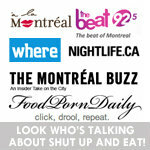 the skin/wrapper looks thinner than other dumpling spots in Montreal.